Generally speaking, sellers need a hardship to do a short sale. However, there are ways to do a short sale without a hardship. First, understand there is no guarantee that a bank will agree to accept a short sale and release the loan under circumstances that involve a hardship, much less those without a hardship. Every bank is different. Investor guidelines vary. Moreover, some PSAs really run the show. Sometimes a hardship is a matter of perception. A hardship is defined as a condition that is difficult to endure. It may involve a form of suffering. You don't have to be living in a cardboard box under a bridge to have a hardship. You can be an NBA star like Ron Artest, who bought a home for $1.85 million in Loomis, CA, and later sold it as a short sale for $1 million. The motivation of many sellers who want to do a short sale is the problem that their mortgage balances are generally higher than the value of their homes. They owe more than their homes are worth. These sellers do not want to go through foreclosure for a variety of reasons, and they hope to protect their credit rating somewhat. The simple solution would be to do a loan modification that reduces the principal balance below the home's market value. In effect, this would be selling the short sale home back to its owner, thereby letting the owner stay in the home. That would make a lot of sense. But no, that's not how our system in the United States works. 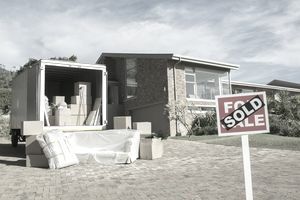 To do a short sale, the seller must sell and move, rent for a few years and then buy a home very similar to or perhaps even nicer than the home the sellers already had. Hire an experienced short sale listing agent. Talk to a lawyer familiar with short sales. Obtain competent tax advice about possible tax consequences on canceled debt or, in the event of a refinance, mortgage over-basis considerations. Price your short sale in line with the comparable sales, which should be less than your mortgage. Assemble the paperwork required by the short sale bank. A hardship is not always necessary because sometimes the bank prefers to dump the property than risk taking it in foreclosure. So more often than not, the short sale is granted. In your situation with a Bank of America short sale, unless you qualify for the HAFA short sale program, it is possible that Bank of America could ask for a seller contribution. However, that practice applies mostly to hard money loans and not to purchase money loans. The bank will probably net about $195,000 from your sale and eat the remaining $310,000. Is the Bank the Seller in a Short Sale?